As I explained in my first post about our house renovation, we had to go back to brick in all of the rooms and ended up ripping everything out. So before we can even think about moving into the house, we have a few big projects ahead of us to make it a liveable space. The first project is the bathroom renovation, which I’ve been enjoying planning despite our space limitations. Pinterest is great but sometimes you have to wonder who on earth has such big bathrooms to redesign! Although we haven’t ordered anything for the bathroom yet, I’m going to share a little of my inspiration behind what we’re planning to do with the space. 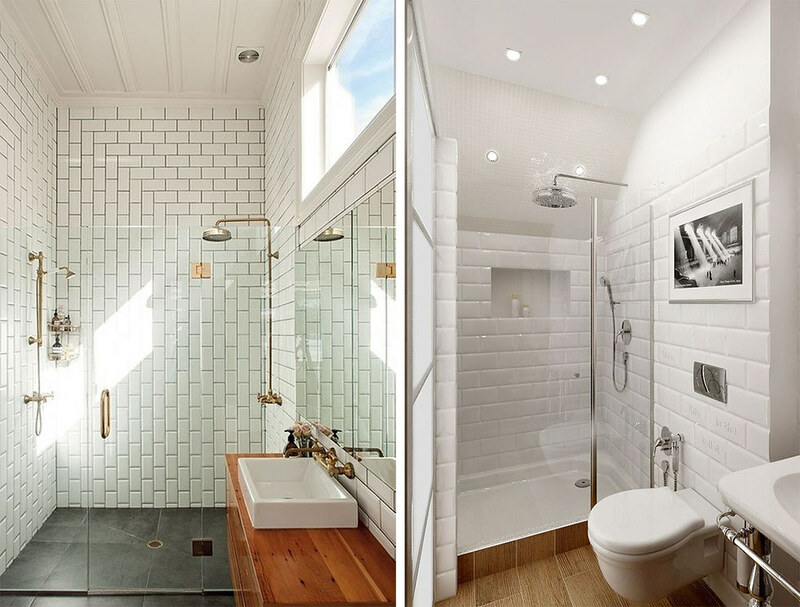 Hopefully it can give you some ideas if you also have a narrow or small bathroom to renovate. As you can see, my camera lens can’t even get a proper picture of the space, it’s really that narrow and small. 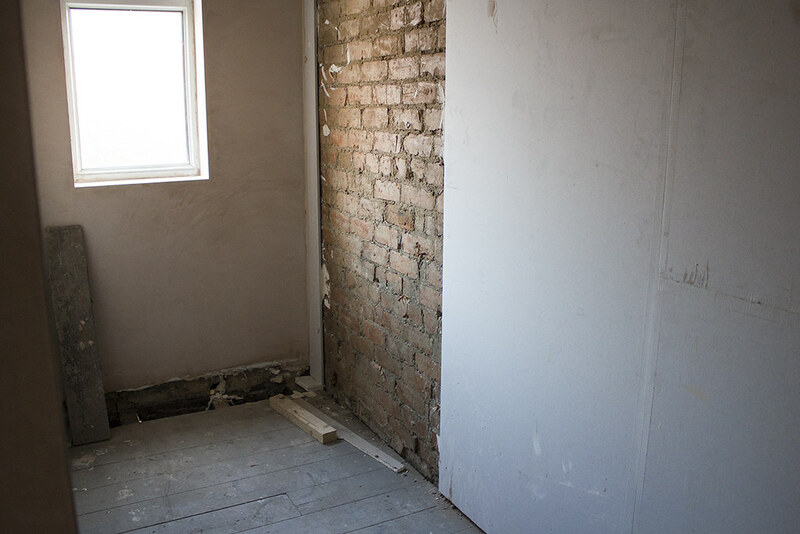 We originally had a bathroom plonked in the corner of the second bedroom, which is the most ridiculous place to have a bathroom, especially if the second bedroom is used for guests. So after that was ripped out, we formed a wall to create a new bathroom. It’s narrow but we really didn’t want to lose too much space in the bedroom. Never underestimate the inconvenience of designing a narrow bathroom with an awkwardly placed window. We already know that the best use of the space would be to just have a shower and leave the bath out. Even though that’s our current bathroom situation, I’ve really missed having a bath. Mat’s not bothered in the slightest but I seriously love getting into a steaming hot bubble bath after a long day at work. We’ve come ridiculously close to going ‘shower only’ but in the end we knew our bathroom had to have a bath. We’re still hoping to have a rainforest shower head that we’ve been loving in the shower rooms above. 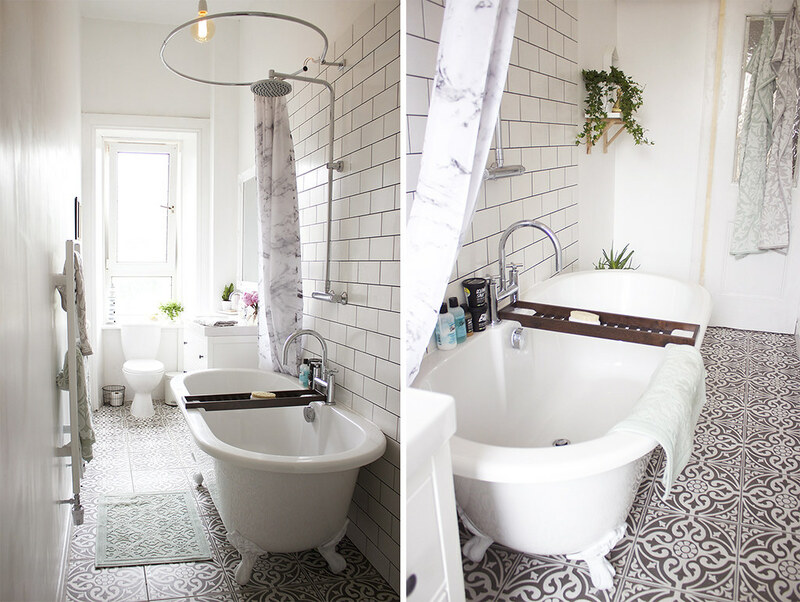 Kate’s bathroom makeover post was one that made me realise that it was possible to have a beautiful bath and shower combo, even in such an awkwardly narrow space. Everything from the roll top bath down to the grey patterned tiles she chose make it a really stunning space. I also love the touches of greenery with potted plants, the metro tiles and that lovely (and practical) wooden bath tidy! 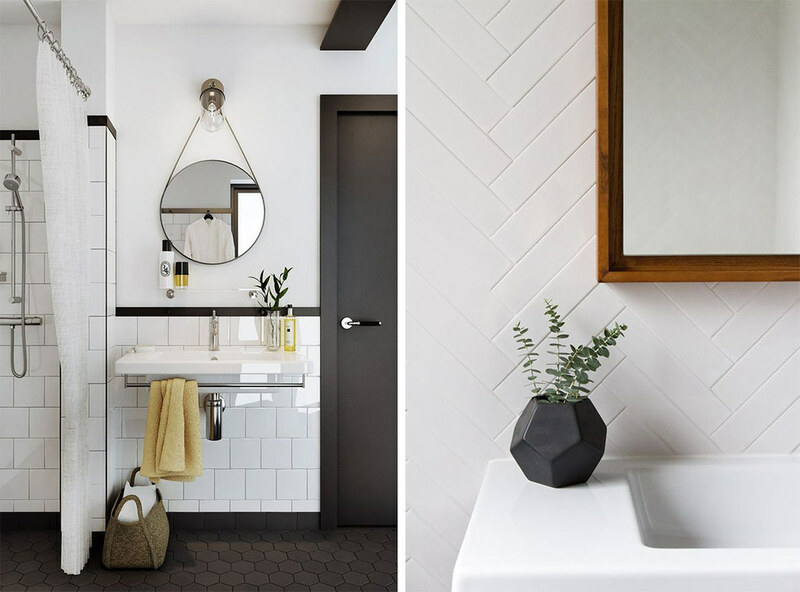 Definitely taking lots of inspiration from her bathroom transformation. Not forgetting the little details that can really finish a bathroom, I’ve been searching for ways to make our bathroom feel a little bit more homely. I’m loving plants in geometric-style pots, like these pots from geo-fleur, to add a touch of green. I’m also on the hunt for the perfect bathroom mirror, possibly a circular one that can be hung from the wall like the one pictured above. I love mixing vintage with modern, so it’s going to be really fun to add some touches that help to create my perfect bathroom. 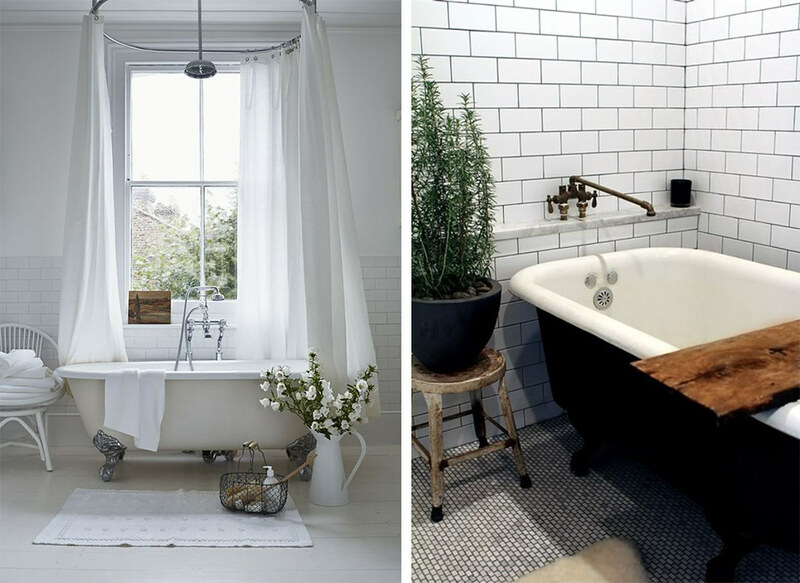 Follow Sarah – Sequin This’s board Beautiful Bathrooms. on Pinterest. This is part of our house renovation series, check out the other posts here.